Home based system, requires home landline phone. Design for in and immediately around the home. For your safety, the Alert Sentry System sends an automatic daily test. Don’t accept anything less. The Alert Sentry System and Call Center have been approved by Underwriters Laboratories for home health care signaling. Should there be an activation of the Alert Sentry System we will send an email notification to those on the call list with an email address. To power your system in the event of a power failure. When you no longer need or want the system, simply return it. Your button is waterproof and automatically checks the battery level allowing you to stay safe at all times. For those of you with vacation homes or who move with the seasons, the Alert Sentry System can move with you at no additional charge. Your system is covered for as long as you have it. 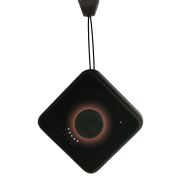 The iSAFE Mobile Responder offers revolutionary Two-Way communication directly though the pendant, allowing you to get help Anywhere, Anytime! Click here to go to the iSAFE Mobile Responder Website! Two-way voice communication using powerful microphone and speaker to ensure call quality. Nationwide coverage, provided by T-Mobile. Cellular Location Technology allows Response Center to notify the proper authorities and your personal responders as to the area your located. One low monthly fee with no hidden charges. 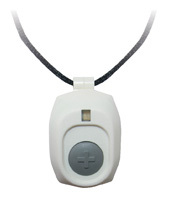 iSAFE Mobile Responder can be easily worn as a necklace, on a keychain or carried in a pocket or purse. No landline phone connection or base station required. Location availability and accuracy is based on cellular network coverage in the area.